This former Homearama home, Marlow Manor, will no doubt turn heads with the captivating curbside appeal and extensive landscaping. The main front entrance to Marlow Manor features a double 8-foot glass door with an arched window above, while a second front porch near the garage is tucked beyond a stone columned archway. A gorgeous cupola adorns the strategically positioned garage which features a courtyard entrance. Angled rooflines contribute to the nostalgic feel of this traditional 4-bedroom plus bonus room, 3.5-bath garden level ranch. Inside the 4,361 square foot Marlow Manor, guests are welcomed to handscraped hardwood floors and inviting views into the formal dining room and great room, which features a coffered ceiling and a gas fireplace flanked by windows that invite the beauty of the home's exterior spaces to complement the designs within. It's easy to imagine homeowners enjoying a quiet evening by the fire within the elegant gathering space. The large dining room will encourage guests to stay for dessert and enjoy the hospitality and ambiance that's sure to be served quite frequently. The kitchen features upscale appliances, beautiful cabinetry and a large walk-in pantry. A breakfast bar encourages family members to enjoy some time together before the start of a busy day. The breakfast room is highlighted by an extra large sliding glass door that leads to a spacious covered porch that incorporates flush mounted Infratech heaters, where lazy Saturday afternoons are meant to be savored. The master suite features a unique ceiling treatment and offers access to the covered porch and a spacious master bath with a large shower and walk-in closet. Two additional bedrooms are featured on the main level, one with a built-in window seating and book shelves. A creatively designed Jack-and-Jill bath offers access to individual walk-in closets. An open stairwell leads to the lower garden level of Marlow Manor, where an ideal guest retreat includes a large walk-in closet and access to a full bath. The lower level showcases a fantastic bar where guests can mingle and homeowners can enjoy the company of good friends. A projection TV with an electric screen that raises and lowers and a billiards area combine for the perfect place to entertain. The speakers in multiple rooms, including back porch, allow for your favorite tunes to be heard throughout living area. The lower level also offers homeowners a bonus room with custom book shelves along with two additional rooms for plenty of storage space to keep seasonal items organized. Directions:From Gene Snyder Fwy take exit 34 for Brownsboro Road/KY-22 toward Crestwood. Turn left on Hite Ln. Turn right onto Pebble Creek Dr. Turn Left onto Pebble Creek Pl. Home is on the left. SchoolsClick map icons below to view information for schools near 5206 Pebble Creek Pl Louisville, KY 40241. Real estate listing at 5206 Pebble Creek Pl Louisville, KY 40241. 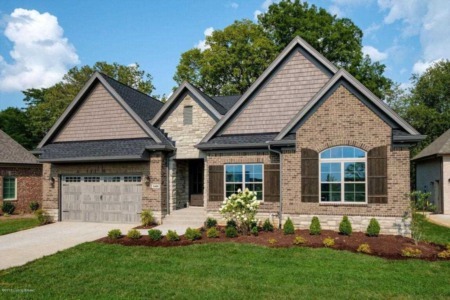 Description: The real estate listing at 5206 Pebble Creek Pl Louisville, KY 40241 with the MLS# 1523445 is currently listed for $675,000 and has been on the Louisville market for 88 days. 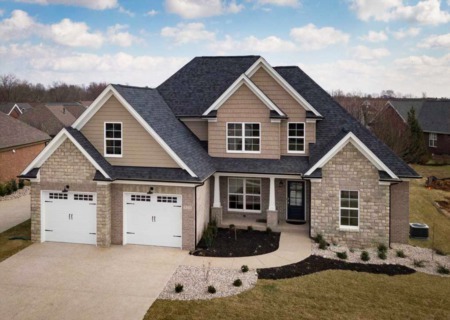 You are viewing the GLAR MLS property details of the real estate listing at 5206 Pebble Creek Pl Louisville, KY 40241, which is located in the Rock Springs neighborhood, includes 4 bedrooms and 4 bathrooms, and has approximately 4361 sq.ft. of living area.